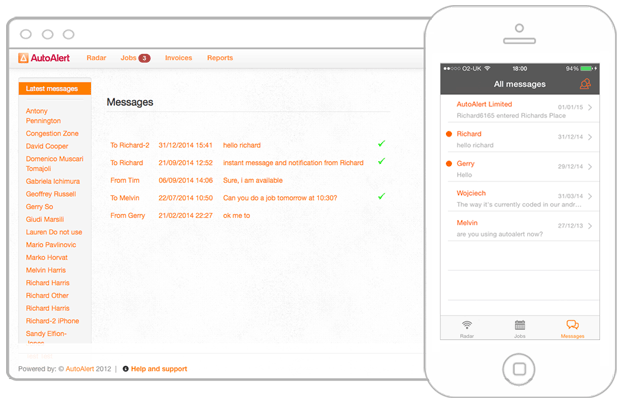 AutoAlert’s core product is helping business create transparency, cut costs and improve communication through our simple to use GPS tracking, job scheduling and instant messaging software. 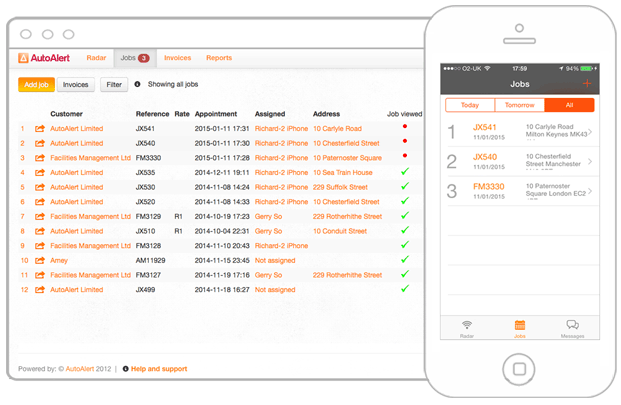 with AutoAlert GPS tracking, job scheduling and messaging. 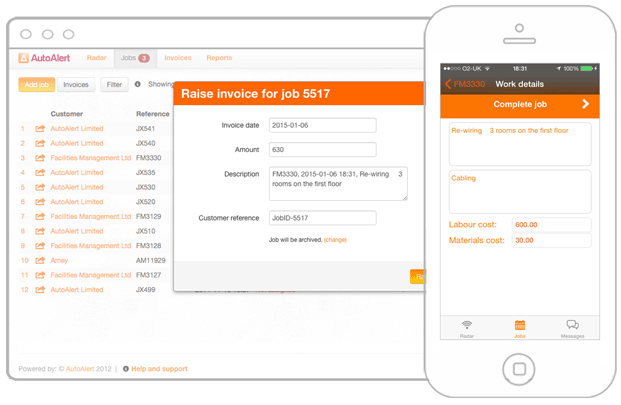 No more chasing people, no more stress and anxiety and no more paper job sheets; Just happy customers! AutoAlert CCharge, never pay another congestion charge fine again thanks to this handy iPhone application. More. 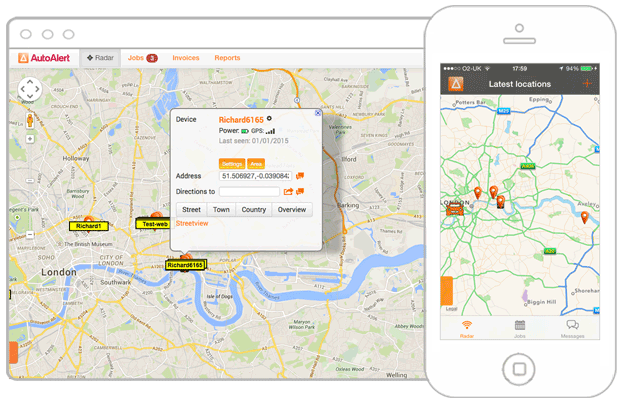 AutoAlert Low Emission Zone Check and Remind, never pay another congestion charge fine again thanks to this handy iPhone application. More. Stockholm Zone, check whether you are in the Stockholm congestion zone. More. AutoAlert Ecopass, check whether you are in the Milan Ecopass zone. More. Metro C-Zones. This was a done as a special promotion with the Metro newspaper allowing you to check all the Congestion Zones in Europe. AutoAlert has also provided consultancy and software development on various projects including a transport project in Cebu, Philippines on behalf of the World Bank and various bespoke software development projects for various companies including Astra Zeneca and Grant Thornton.